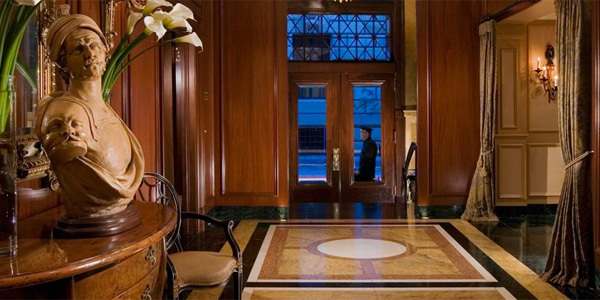 Renowned for its warm professional service, exceptional interiors and avant-garde elegance, this timeless grand hotel has become the benchmark of hospitality in Canada. This historic building, dating from 1870, is ideally situated in vibrant Old Montreal with easy access to shopping areas, restaurants, and the financial center. 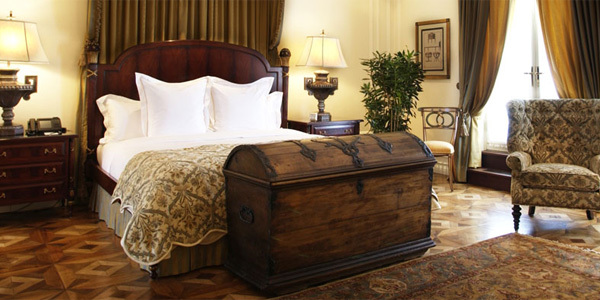 With impeccably detailed guest accommodations, each room and suite possesses its own character and personal charm. 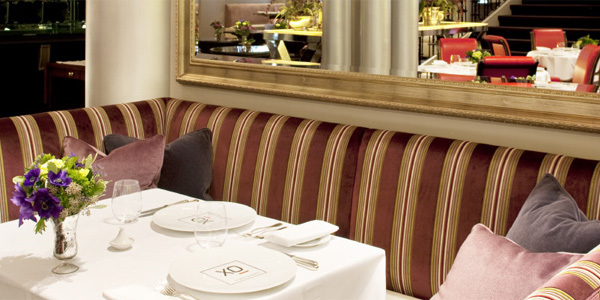 Hotel Le St-James is a Member of The Leading Small Hotels of the World. Le Spa is nestled in the former Merchants’ Bank vault, which dates back to 1870. The actual stone wall was part of the fortification of the City of Montréal and was later preserved. It now provides a peaceful candlelit ambiance that promises a relaxing, unparalleled spa experience. Recognized for its uniqueness and warm service, Le Spa earned its celebrated reputation with a focus on privacy. The comfortable setting allows for only single or couple treatments, and offers private changing rooms with imported Frette bathrobes and towels. A full gym with state-of-the-art equipment and free weights, a traditional steam bath and hydro-massage facilities are available to guests of Hotel Le St-James. 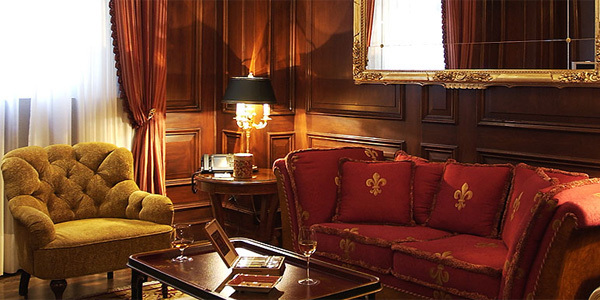 Hotel Le St-James has restored this exceptional ancient architecture to a luxuriously boutique hotel. 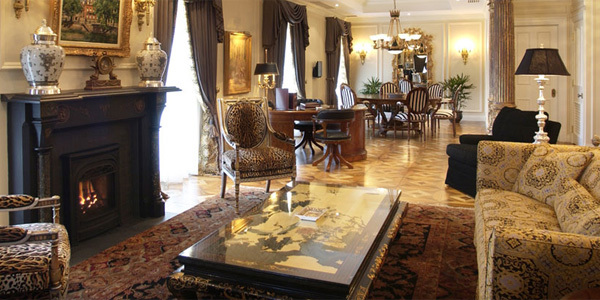 The hotel has 60 guest rooms and suites each offering unique design and sumptuous surroundings. An exceptional destination, this amazing hotel provides its guests with an atmosphere of complete self-indulgence. Beautiful and inviting, Hotel Le St-James’ accommodations offer details and relaxing amenities to make you feel at home. 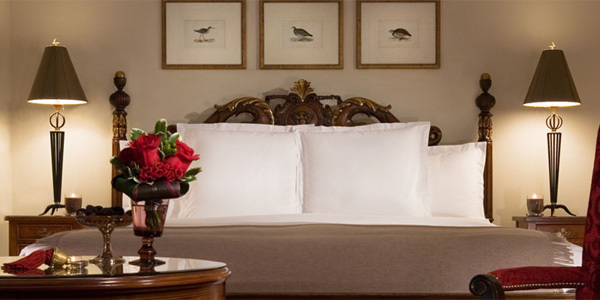 You will appreciate the touches, including fine goose down comforters, cotton piqué sheets and the aesthetic pleasures of hand-selected artwork. Should you decide to venture out and explore the surrounding areas, our Concierge will be pleased to assist you with your travels. 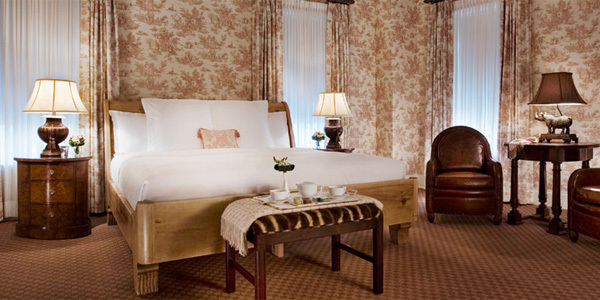 Each flavoured with unique furnishings and character, our stylish and comfortable guest rooms offer a Queen or a King-size bed and a large walk-in shower in the marble bathroom. The square footage of the Deluxe Rooms averages 400 square feet. Junior Suites – Spacious and elegant, our entry category for suites offers a King- or Queen-size bed and marble bathroom with separate shower and deep soaking tub. The square footage of the Junior Suites averages 500 square feet. Superior Junior Suites – Our next level of suites features an oversized bedroom with King-size bed and sitting area. The marble bathroom boasts a separate shower and deep soaking tub (a few offer a walk-in shower only). The square footage of the Superior Junior Suites averages 550 square feet. Deluxe Junior Suites – Larger than the Superior, our Deluxe Junior Suites feature a King-size bed and marble bathroom with a separate shower and deep soaking tub (some units offer a walk-in shower only). The square footage of the Deluxe Junior Suites averages 600 square feet. Executive Suites – Our one-bedroom Executive Suites offer complete privacy with a separate living room. The large bedroom with King-size bed connects to a marble bathroom with deep soaking tub and separate shower. The living area includes a large LCD TV with DVD player, faux-fireplace and powder room. The square footage of the Executive Suites averages 800 square feet. The Heritage Collection Suites – Similar to the layout of our Executive Suites, these spectacular units are drenched in history, featuring much of the building’s original 19th-century architecture. The high ceilings, woodwork and hardwood floors were preserved, while refined works of art and refurbished antiques were added to complete this exquisite collection. The oversized bedroom features a King-size bed and a giant LCD TV with DVD player. The separate living room offers a flat-screen LCD TV with DVD player, walk-in closet and powder room. The spacious marble bathroom presents a glass rain and multi-jet shower and a deep soaking tub. The square footage of the Heritage Suites averages 1,200 square feet. The Royal Suite – An oversized two-bedroom suite garnished with Italian parquet flooring, the Royal Suite features a living area highlighted by a giant plasma TV with a complete entertainment system, including a Bang & Olufsen sound system. Totaling 2,300 square feet, this specialty suite combines a living and dining room for six persons, a work area and a powder room. The master bedroom with King-size bed and silk wall covering features a flat-screen LCD TV with DVD player, a walk-in closet and a marble bathroom with a glass rain and multi-jet shower and deep soaking tub. 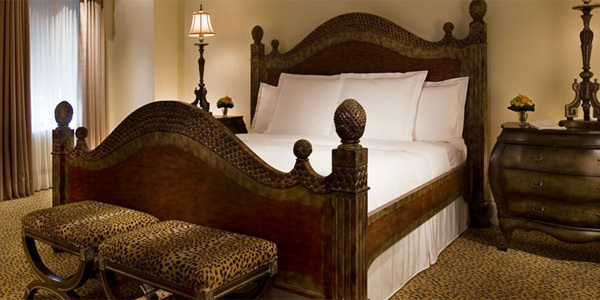 The connecting Deluxe Room offers a King-size bed and a marble bathroom with walk-in shower. The Presidential Suite – This oversized two-bedroom suite, which averages 2,550 square feet, features a living room with Italian parquet flooring, a baby grand piano, gas fireplace, giant LCD TV with a complete entertainment system, including a Bang & Olufsen sound system, a work desk, breakfast table and two powder rooms. A sumptuous 10-seat dining room and separate kitchen are located on the opposite side of the master bedroom, which is highlighted by a King-size bed and marble bathroom with a glass rain and multi-jet shower, deep soaking tub and bidet. 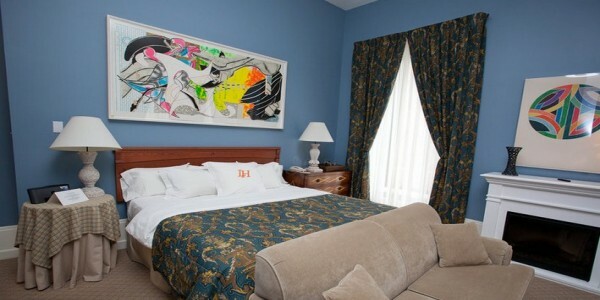 The connecting Superior Room offers a Queen-size bed and marble bathroom with walk-in shower. The Penthouse – From the moment you step into the property’s grand 3,500-square-foot Terrace Apartment, you will be captivated by the panoramic view of Montréal’s cityscape from the 1,500-square-foot wrap-around terrace. This two-bedroom Penthouse, which is reached via a private elevator, features a living room with Italian parquet flooring, gas fireplace, screening room area with 47-inch LCD TV and complete entertainment system as well as a separate 10-seat dining room. The fully equipped gourmet kitchen and separate laundry room boast Miele appliances. Expansive and saturated in opulence, the master bedroom features a King-size bed, spacious walk-in closet and faux foyer. The master bathroom exudes elegance with green Chinese marble, a glass rain and multi-jet shower, deep soaking tub and bidet by Philippe Starck. 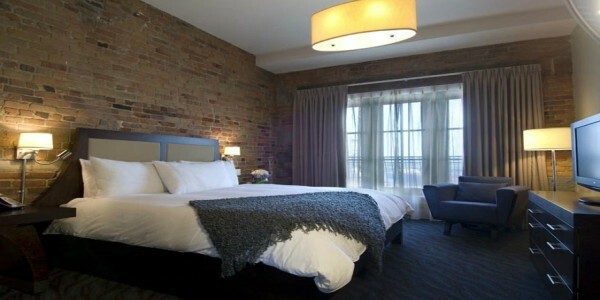 The second room offers a Queen-size bed and marble bathroom with walk-in shower. 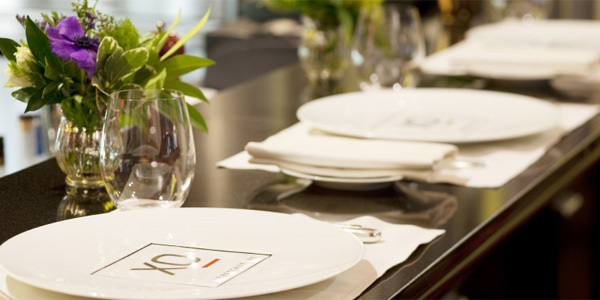 Montréal’s highest-rated restaurant in 2009 (The Gazette), XO Le Restaurant offers its guests a modern and innovative cuisine created by celebrated Chef Michele Mercuri. This creative fresh market cuisine can be enjoyed for breakfast, weekend brunch, lunch and dinner, all in a relaxing atmosphere. As part of the fine dining experience, great treasures from the extensive collections found in the wine cellar can be enjoyed. XO Le Lounge offers original cocktails as well as casual fare. The Hotel is located in charming Old Montréal and is within walking distance of the Convention Centre in the international business district. 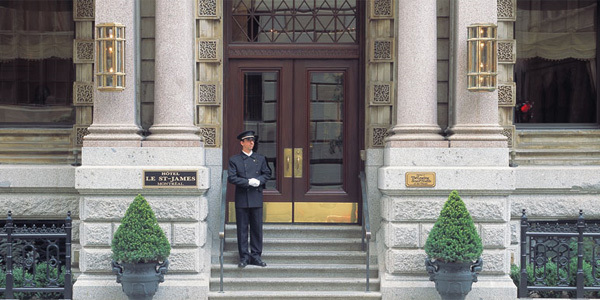 For your convenience, Hotel Le St-James is directly connected to the underground city through the World Trade Centre.